The Firehouse Subs is a chain of restaurants based in U.S. and it is known for its hot subs. This chain of restaurants came into existence in the year 1994 by Chris and Robin Sorensen. The restaurants owned by the company serves many delicious and tasty foods like sandwiches with meats as well as cheese etc. It is located in a best area which is family oriented, so everyone can enjoy good atmospheres. The company has its headquarters in Jacksonville, Florida. The company has won many awards and KPMG also awarded it "Company of the Year" award in 2006. As per the information gathered in the year 2010, the company owns more than 390 locations. There are currently 5 consumer reviews about Firehouse Subs available. Share your review. I visited the Firehouse Subs location this evening on W. Lake Mead Blvd, Las Vegas, NV. I ordered the Italian Sub (which has been my favorite since opening) to go. I ordered it with no mayo, light dressing. I live not even half a block from this sight. When I got home, the sandwich was soggy. I immediately got in my car and took it back. Upon explaining my problem to the cashier, Ryan approached me and asked me what was wrong. I explained to him. He asked me how far I lived and I told him. He then replied, "Well that's what happens when you order a hot sandwich and it takes 10-15 minutes to get home. I again explained that I didn't even live half a block away. He took the sandwich, aquashed it up and threw it in the trash. He then proceeded to ask me what type of sandwich it was and said he would get me another one. He said he wouldn't put any dressing on it and would give me dressing on the side. He personally remade the sandwich. Lo and behold....when I got home I didn't even have any cheese on this one. I called the store, expalined my problem to Riana (the person who answered the phone) and asked who the owner was. Unbelievable!!! It is Ryan. I asked Riana to tell Ryan I would be in tomorrow for a refund. I then proceeded to call other locations to find out who was above Ryan and they were very pleasant and helpful in giving me the information (names and telephone numbers). I will NEVER again eat at the Firehouse Subs location on W. Lake Mead. I have visited the Firehouse in Collierville a few times with my husband and friends. Baddd experience. From what we could figure out, it seems like the two brothers who own the shop in Collierville, have absolutely no idea what they are doing and way too immature to even care. I would think that Firehouse would be more concerned re who is selling sandwiches with their name. I know I would never allow these two brothers to represent a name like "Firehouse". Also, the last time we were in there, the cashier Lori, messed up our order. She seemed quite upset about her "boss" finding out she had made another mistake??? Anyway, because we didnt want her to get chewed out by these two, we chose to ignore the mistake and just pretend that everything was fine. (She got the sandwiches mixed up.) The sandwiches were all good but we have decided that since there is a Firehouse right down the road in Germantown, we have chosen to dine there as opposed to the one in Collierville. We have been to Germantown several times and have never had anything but a great experience. The Post Road location in Melbourne, Fl use to be my favorite location until a worker named Jon started to work there. He curses so loudly and talks back to the customers. One time I heard him say that he was never going to get fired because he was "(Explicit Word) married to the manager." If this is true I am disgusted because that is unethical and bias to the other employees he treats to poorly. I will no longer return to that Firehouse Subs nor any other location simply because it seems to be that your company does not promote a proper image. 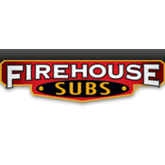 Please take a note that you are about to post a public review about Firehouse Subs corporate office on CorporateOffice.com. This review will be public, so please do not post any of your personal information on this website. If you would like to contact the corporate offices of Firehouse Subs, please use their contact information such as their phone number, website, and address listed above to contact them. However, sometimes staff from Firehouse Subs headquarters do read the reviews on this website.